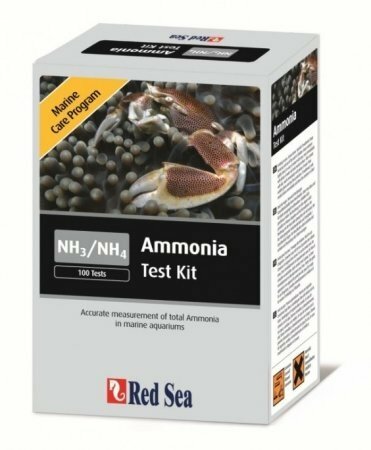 Red Sea Ammonia Test Kit is an advanced colorimetric test measuring the total ammonia (NH3/NH4) in marine aquariums to an accuracy of 0.2 ppm. Red Sea Ammonia Test Kit simple to use test kit is essential during the initial stage of the biological maturation of all marine and reef aquariums. Red Sea Ammonia Test Kit Includes 100 tests. Publisher: Red Sea Fish Pharm Ltd. Studio: Red Sea Fish Pharm Ltd. If you have any questions about this product by Red Sea Fish Pharm Ltd., contact us by completing and submitting the form below. If you are looking for a specif part number, please include it with your message.